Lamborghini will build just 900 units. After months of spy photos, speculation, and a recording-breaking Nürburgring lap, Lamborghini finally revealed the Aventador SVJ during Pebble Beach in California. The SVJ is a potent version of the SV, with more power and active aerodynamics. Lamborghini unveiled a special SVJ – SVJ 63 – at Pebble Beach, paying homage to Lamborghini's founding year, 1963. The SVJ’s V12 is the most powerful V12 ever from the Italian automaker, producing 770 horsepower (566 kilowatts) and 531 pound-feet (720 Newton-meters) of torque. The SVJ accelerates to 62 miles per hour (100 kilometers per hour) in 2.8 seconds, and 124 mph (200 kph) in 8.6 seconds. Top speed is 216 mph (350 kph), and the car can brake from 62 mph (100 kph) to zero in 98 feet, five inches. 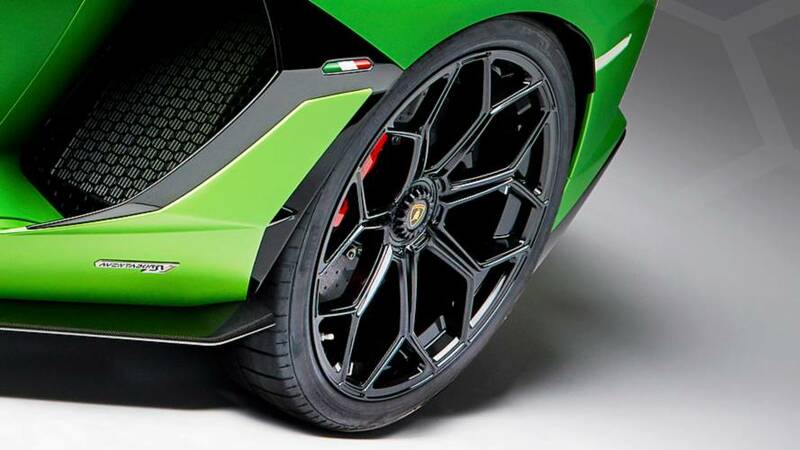 The SVJ comes with Lamborghini’s rear-wheel steering (LRS), and new Pirelli P Zero Corsa tires developed for the car. The SVJ weight just 3,362 pounds (1,525 kilograms) dry, and engineers were able to increase downforce the car's natural downforce by 40 percent while reducing drag by one percent. But the SVJ isn’t all about power. 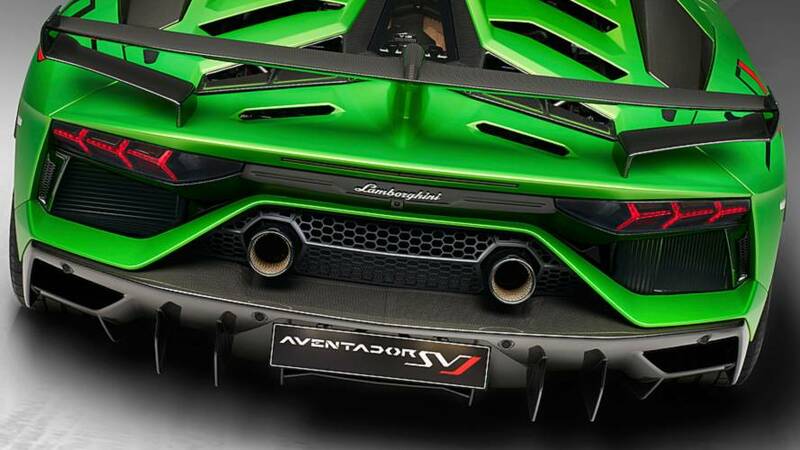 The new supercar features the second generation of Aerodinamica Lamborghini Attiva (ALA) – active aerodynamics. ALA 2.0 can vary aerodynamic load to achieve high downforce or low drag depending on the driving conditions. The system – a series of flaps – can active the in less than 500 milliseconds. At the front, when ALA is off, the closed flaps help generation downforce. When the ALA is on, and the flaps are open, drag is reduced, creating an optimal scenario for maximum acceleration and top speed. The same is true at the rear. With ALA off, the rear flaps close, allowing the rear wing to function more like a traditional fixed wing. When the ALA is on, the flaps open to increase drag in high-speed conditions. The rear also features an inner channel that splits air left or right. Depending on the direction of a turn, ALA can be switched on in either the right or left side of the wing, helping increase downforce and traction where necessary, reducing steering angle and improving handling. The SVJ starts at $517,700 with deliveries beginning in early 2019. The price includes Apple CarPlay. 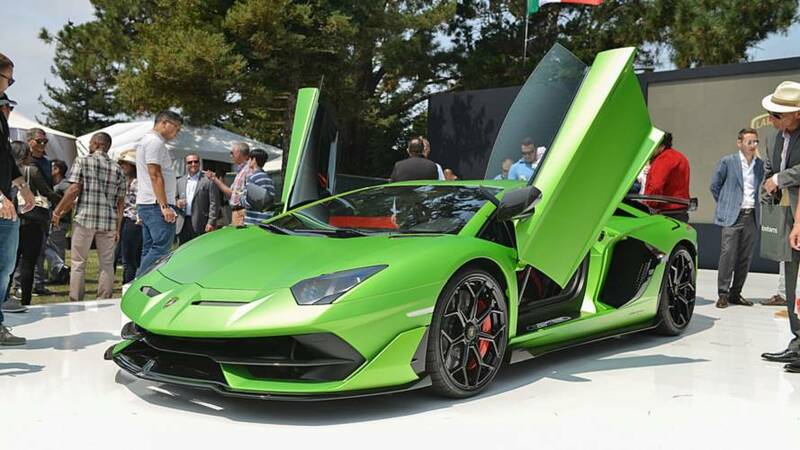 Lamborghini will build just 963 units – 63 of which will be the commemorative special SVJ 63.